The number of cinema screens is set to jump 38.4 per cent to 1,800 in the Mena region in the next 3-5 years, up from 1,300 at present, said professional services firm PriceWaterhouseCooper (PwC) and the Knowledge Partner of the upcoming Mena Cinema Forum in Dubai, UAE. The number of cinema screens has crossed 150,000 globally, including about 50,000 in China and more than 45,000 in the US – the world’s two biggest cinema markets. China is expected to have over 60,000 cinema screens by 2020, making it the world's largest film market, according to the State Administration of Press, Publication, Radio, Film and Television (SAPPRFT). Although the number of cinema screens in the Mena region remains way too low, the growth potential, however, remains very high. “The biggest opportunities will come from the opening of the Saudi market, followed by the opportunity from sophisticated pricing mechanisms where cinema operators offer price differentiations based on particular timings and days – to help increase box office revenues. Additionally, premium screening is another way of optimising revenues,” Dr Berlin said. There are just 23 screens per million Chinese, compared to 125 per million in the US, according to IHS Markit, a London-based market researcher. The PwC research will be released at the inaugural two-day Mena Cinema Forum – the first ever business conference of its kind for the regional market will be held at the Grand Hyatt from October 28-29. 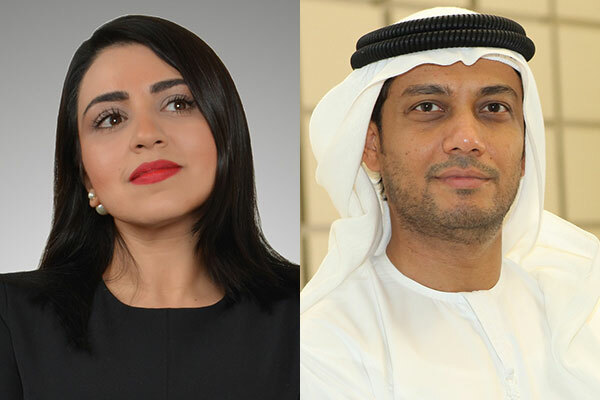 The expansion of the region’s cinema screens and the industry’s evolution provides massive opportunities– many of which will be addressed at a Mena Cinema Forum. More than 45 speakers will discuss cinema-related issues – challenges and opportunities – in front of an audience of 450 industry professionals, businessmen, over 90 sponsors and delegates from 45 countries across the world. Leila Masinaei, managing director of GM Events, organiser of the Mena Cinema Forum, said, “The 38.4 per cent additional cinema screens will help the entertainment market to grow faster as additional capacities will be high enough to meet the growing demand that is expected to come from Saudi Arabian market. More than $3.54 billion investment in cinema screens across the Gulf is expected to help the region’s cinema industry expand manifold following Saudi Arabia’s historic decision to open up the sector 35 years after cinemas were banned in the Kingdom. “We are planning to replicate the same model here as well by taking the world class cinema experience to all possible locations including smaller cities and even labour camps. Simultaneously there will be an organic development plan also and we have already selected few locations for that. “Our goal is to provide 360 degree entertainment solutions in the sphere of production, distribution and exhibition. Our content strategy will involve promoting Indian content as we have developed great partnerships with leading studios and production houses accompanied by Hollywood and regional GCC content. We are strengthening our businesses by delivering to audiences the industry's best cinematic experience,” he added. “We are already committed to a number of exciting projects and looking at more growth opportunities in the coming 3-5 years as well. “The Middle East cinema market is doing very well, resilient because of the price point, but still very affordable family entertainment even during tough times. However, it all comes down to content, if we have great content then customers will come to watch the movies. “This is a great opportunity for all exhibitors, although to be sustainable we believe the current ticket pricing will need to come down, cinema needs to open for the majority not just a privileged few and therefore pricing needs to be affordable,” she added. “We have been very active doing major projects in KSA for many years and are looking forward to bringing our expertise to KSA,” said Amer Bin Ahmed, managing director, Knauf Middle East and India, a major player in the supply of cinema systems. “We have experience in installing over 200 cinema projects across the Middle East including UAE, Oman, Kuwait and Bahrain. Knauf has a specialized technical team for the cinema segment to design and specify tailor made solutions. Our products and systems are fully tested and certified to the highest standards ASTM, DIN, ENBS. “Cinema projects are technically challenging therefore we ensure cinema projects are technically challenging therefore we offer full support from design stage, right through to completion. Our dedicated team works with the necessary contractors and the consultants to ensure the acoustic performances are achieved. “The correct detailing and installation of our systems is also paramount to ensure there will be no delays and loss to the developer,” he said, noting that Knauf has a manufacturing facility in the UAE to support and meet the demands of the GCC market. Eranna Yekbote, chief architect of Era Architects, who designed more than 1,200 cinema screens in the last 19 years, said: “Out of these, about 400 screens are in the Mena region and we have about 250 screens from 30 projects in pipeline on our drawing boards in office. Some of the key topics that will be tackled at the Mena Cinema Forum include the transition through digital disruption and the economic impact of the growing cinema industry as well as the effect of the Saudi Cinema market across the region. Mena Cinema Forum, the only dedicated industry conference on cinema, will screen premiers for VIPs and delegates at exclusive screenings during the two-day conference that will also feature some of the biggest names in the global film industry.